Petits Filous Pouches - Ready, Steady, GO! For the past couple of days, the weather has been beautiful. 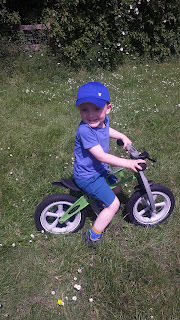 We have made full use out of the sun and have managed to spend a lot of time out and about. 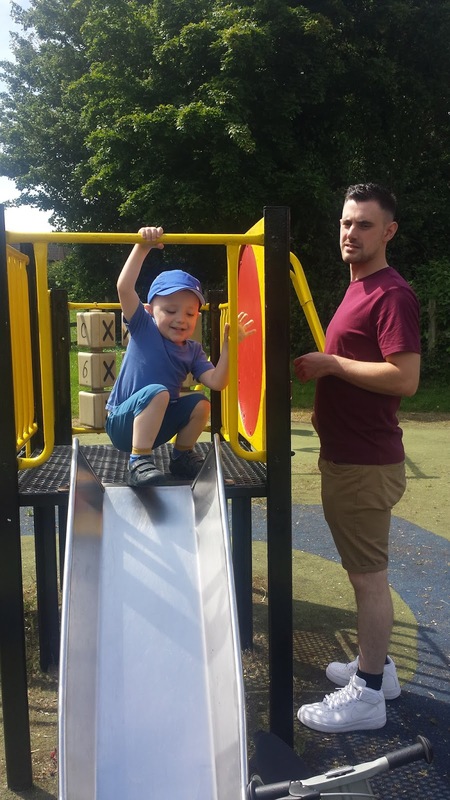 Not only have we been having a lot of fun in the sun in our garden but we have had a super time visiting local areas such as the park. 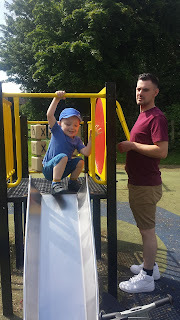 A few days ago we decided to go for a little walk to a park a little further away from our home. We decided that we would take Maxwell a packed lunch as there was a little eating area at the park. Taking Maxwell's lunch meant we did not have to rush home and we could spend as long as we wanted exploring the local area that we were visiting. For a while Maxwell was a very picky eater however recently he has got much better and now enjoys taking a lunch box out with him. Maxwell's lunch box is normally pretty basic however Maxwell had some brand new Petit Filous pouches in his lunch box that we needed to test. 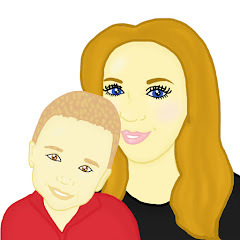 Maxwell has always enjoyed Petit Filous but we have found them a pain to take out and about however Petit Filous now offer pouches which makes them easy whilst out and about. 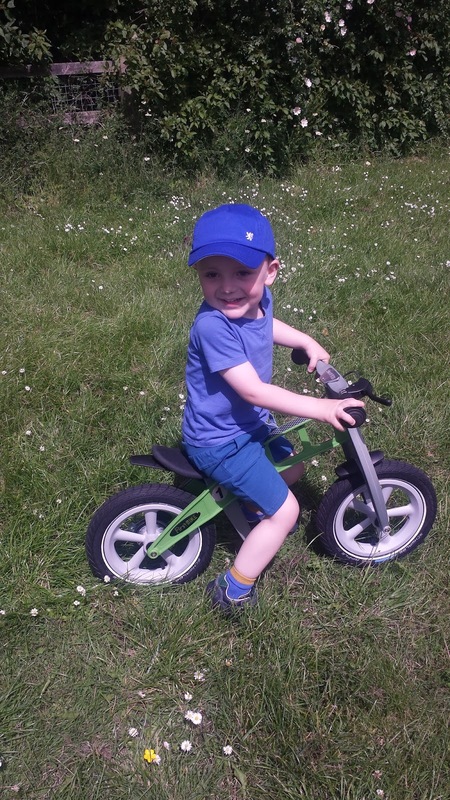 Maxwell decided to ride his bike to the park which meant Mummy and Daddy were left behind carrying lunchboxes, sun cream, hats and plenty of drinks. 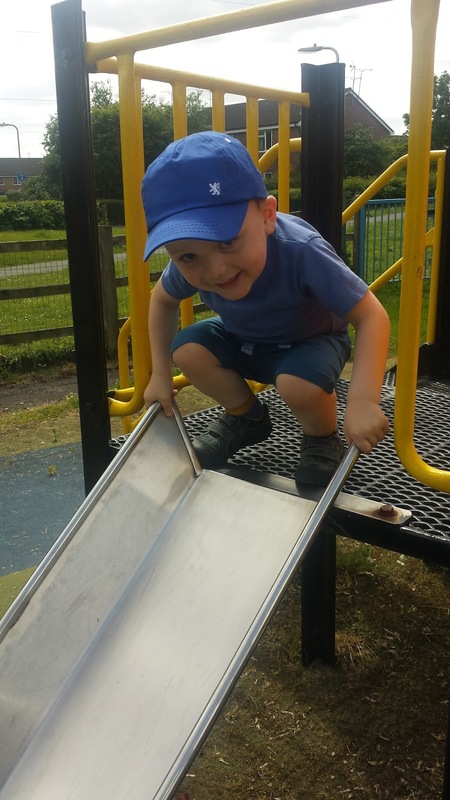 When we got to the park Maxwell had a fantastic time exploring however after a while he decided it was lunch time. 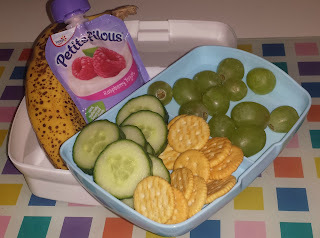 Maxwell had mini crackers, cucumber, banana, grapes and yogurt to eat in his lunchbox. All his favorites! Maxwell tucked into his lunch and left the yogurt to last. I was a little worried that he was avoiding it however he got stuck in straight away and seemed to gobble the whole pouch up. Having never tried the Petit Filous Pouches, we were very impressed. The new pouches range includes three different flavours; Strawberry, Raspberry and Apricot. I love the fact there are different flavours to choose from, this means that there is a flavour to tickle every little taste bud. I found that the pouches were mess free, Maxwell was able to use the pouch with ease and was able to guide the yogurt easily through the pouch and into his mouth. They were convenient to take in a lunch box and I loved the fact that a spoon was not needed. Petits Filous Pouches are available in the supermarkets and are priced at 79p each however we managed to get them at just 59p from Ocado which I think is a fab price. Overall we had a fantastic day at the park, the new Petit Filous pouches get a massive thumbs up! However we did receive a voucher to buy Petit Filous Pouches. Everything written in this post is my own, honest opinion. I am normally put off these pouches due to the price, but at 59p I think I will try and hunt some down to add to my daughters pack lunch!